When you are going for a long run or hike, it’s incredibly important to stay hydrated, even in cool weather. But unless you are running in an area with places to stop for water, you’ll need to find a way to carry that water on your own. Enter hydration packs. These are by far the most efficient way to carry plenty of water with easy access to drinking it. And packs nowadays come in a variety of sizes and carrying capacity. 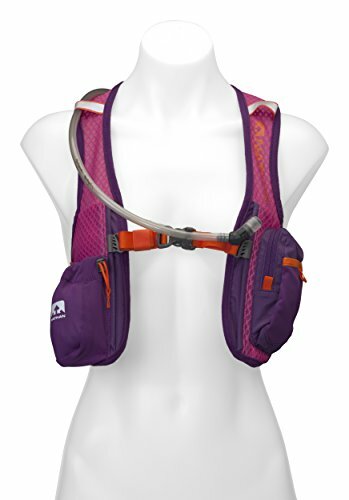 For women, there are many gender-specific options of hydration packs. These packs have straps that fit differently than their male counterparts. Women’s packs are made to fit a narrower shoulder width. They also have more adjustablility in the straps that secure the vest together in the front. 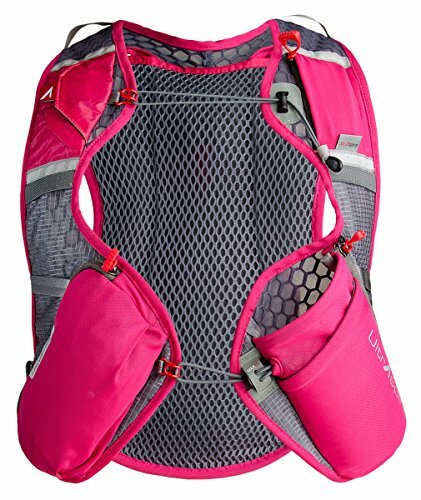 Most women’s packs also have room to carry a reservoir, the preferred method to carry hydration in these packs. 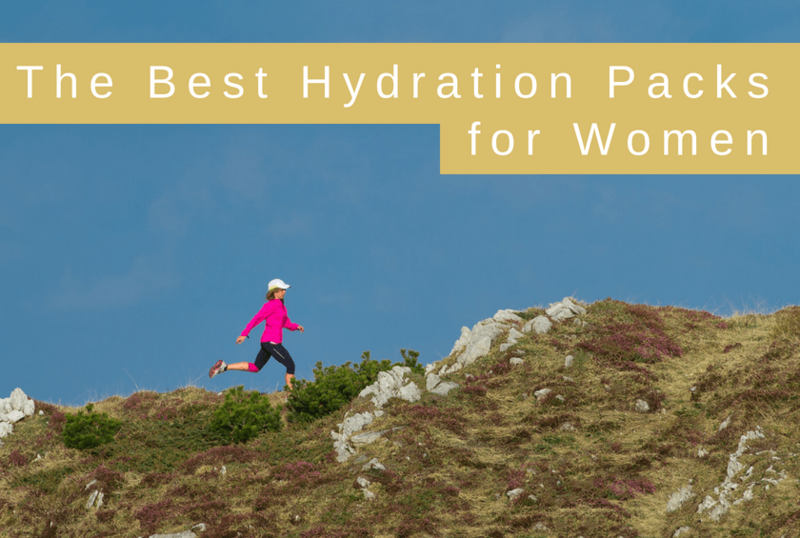 In this article, we’ll review the best hydration packs made specifically for women. 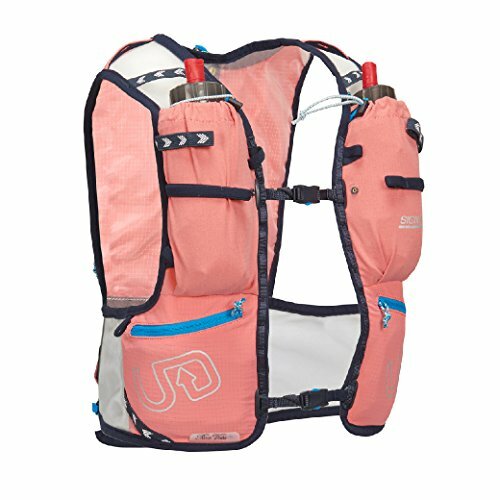 And check out this article if you are interested in more general hydration packs. There are also other ways to carry water including waist packs and handheld bottles. Featuring many of the same great qualities as the Vest 4.0, the Vesta from Ultimate Direction is designed specifically for the competitive female runner. It comes with lightweight adjustable sternum straps for a custom fit that eliminates bounce. Constructed from 4-way stretch material, the Vesta is comfortable, breathable and durable. The Vesta 4.0 is also lighter than the standard Race Vest 4.0. It weighs in at a feathery 9.56 ounces with two water bottles (empty). This makes it a small sacrifice in extra baggage to have the convenience of water for your run. There are also secure zippered pockets for your phone, gels, and other gear. The pack is compatible with a hydration bladder up to 1.5L in size – it’s not included with the pack. 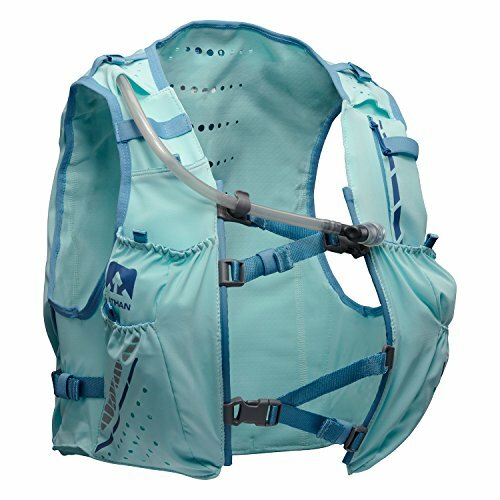 The 6L Hydration backpack from Nathan Sports is one of the lightest options available that is designed specifically for women runners. The back panel is perforated which allows for a cool comfortable running experience. The shoulder straps are constructed of a durable yet highly breathable mesh. They can be easily adjusted for a snug fit that eliminates bounce and unwanted chafing. With its side adjustability, it is also easy to put on and take off. The backpack comes with a 2-liter bladder which will give you plenty of liquids for longer runs without burdening you under too much weight. This bladder is held firmly in place with the patented 3-way Propulsion harness. This system stabilizes side to side and up and down movement of the bladder and any other contents you choose to store in the stash pockets. 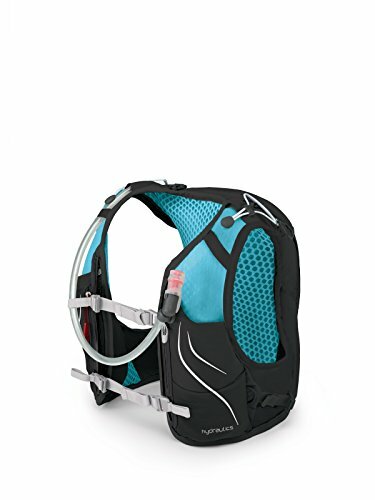 This hydration pack from Nathan Sports was designed specifically based on input from record-setting runner Stephanie Howe. This ultra-race ready pack is designed specifically for the female form and will conform to your unique shape resulting in a snug yet comfortable fit. The sternum straps are fully adjustable allowing you to customize the pack to your specific form. The VaporHowe is lightweight even though it has a large 1.8-liter bladder. To minimize sloshing from water within the bladder, this pack uses a unique compression system that forces the bladder to conform against your back. This will tighten the load and help to eliminate bounce and chafing during your run. There is sufficient additional storage as well. Front storage stash pockets exist for additional water flasks or your phone. There are zippered pockets with additional internal storage on the back. The VaporMag is another vest that is designed specifically for women runners. This model was designed in conjunction with another world-class endurance runner by the name of Maggie Guterl. Rather than using a bladder system, the VaporMag is equipped with two ExoShot soft flasks with extended strap tubes for easy sipping. 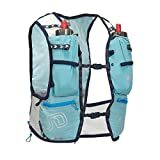 This allows you to get a quick drink without having to remove the water flasks from the vest. There are additional front storage pockets that can hold additional flasks as well as other nutritional items. The lower back of the vest has zippered pockets for storage of your personal belongings. The upper back pocket has additional storage without a zipper. This vest is ultra-lightweight without the flasks, weighing in at only 4 ounces. Even with the flasks, the VaporMag only weighs a total of 7.2 ounces. This gives you 2.5 liters worth of total storage with no wasted space. 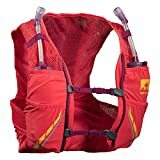 With a harness design that’s unique to a woman’s build, UltrAspire’s Women’s Astral 3.0 Vest fills a specific need in the trail running world. Although the fit is specific for women, this pack also works to keep any runner’s chest, heart, and lungs free for restriction-free breathing. 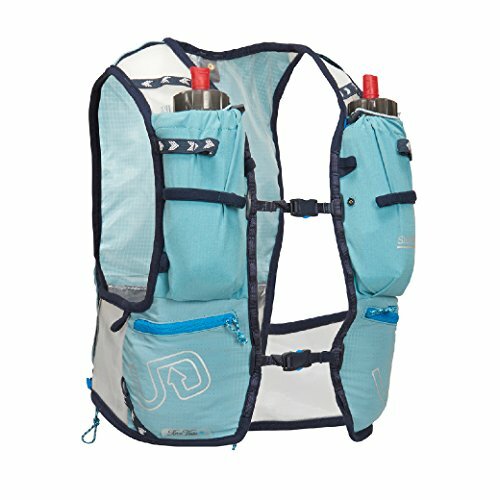 The front pocket holds a water bottle, but the pack also comes with a 2L hydration bladder on the back. Zippered pockets hold everything you need on the trail, but the zipper pulls are bounce-free and easy to manage. It’s easy to add or remove the bladder in just seconds, and plenty of elastic keeps things flexible. The nylon fabric also has silicone and PU coating, making it water-, abrasion-, and tear-resistant. Micro-fiber polyester edges along the mesh body keep wearers comfortable even in extreme conditions. As far as the construction, every stress point is reinforced with extra stitching to keep everything secure. Each elastic section also has zig-zag stitching for increased durability. Plus, a magnon pocket keeps pills sweat-free no matter how strenuous the run. And while many women may prefer a more feminine color scheme, the Astral 3.0 Vest comes in black in addition to the eye-catching pink style. Carry everything from water to trekking poles with the Osprey Dyna 6 and find your groove no matter how long your run. 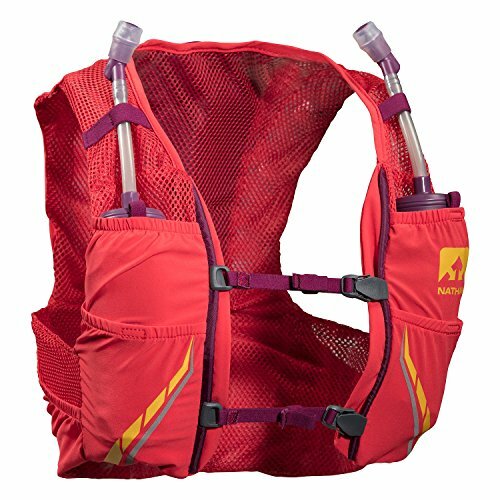 The front pocket offers bottle storage, but the pack also holds a 1.5L water bladder for longer or more demanding trips. Front pockets can also hold fuel, plus there’s space for rain gear, extra layers, and more. The Dyna 6 comes with a Hydraulics LT Reservoir, which sits in a zippered reservoir sleeve to reduce movement. A sternum magnet helps with hydration access while you’re on the go. Another convenient feature is the vertically zippered harness, with a whistle zipper pull. Dual lower side panel stretch pockets and harness pockets keep the essentials accessible. And despite the excess of pockets, the foam harness stays comfortable with slotted foam that has a mesh covering. Removable dual chest straps help increase stability, and all surfaces are breathable mesh that’s irritation-free. Volume capacity ranges between 305 and 366 cubic inches depending on the size (XS/S to S/M). A compact and breathable vest with dual hydration up front, the Vesta 4.0 earns our vote as one of the best hydration packs with women-specific styling. The colors aren’t as loud as many women’s packs on the market, but that doesn’t mean the Vesta 4.0 lacks features. Two water bottles (included) fit in the front elastic pockets, while two lower zipper pockets hold trail essentials. The zipper backpack and pockets have a staggering 616 cubic inch capacity, meaning you can take nearly anything along for your run. Chafe-free mesh material stretches four ways, plus the Comfort Cinch adjustment lets you accommodate for lateral sizing and increase stability. Sliding rail sternum snaps up front let you adjust on-the-go, too. Overall, sizing ranges from ribcages between 26 and 41 inches in two separate sizing options- XS/SM and MD/LG. However, the adjustability of the straps and the stretchy mesh material means most sizes can find the right fit with the Vesta 4.0. © 2019 The Wired Runner. All rights reserved.